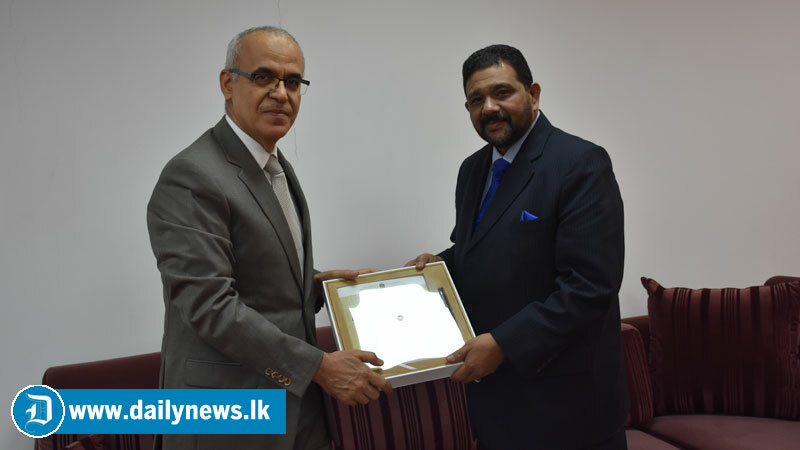 Western Province Governor Hon M. Azath S. Salley received the UAE Ambassador, His Excellency Ahmed Ali Ibrahim AlMualla at his secretariat in Colombo this morning. Discussions between the two dignitaries were cordial and they explored ways and means of cooperating with each other in the future. The UAE embassy has been cooperated with the Azath Salley Foundation in distributing school uniforms and books for more than 8,000 deserving students this year in all parts of the island. The ambassador also presented a memento to the governor during the meeting.